Once upon a time, the Gulf Of Mexico was known as “America’s lake”. 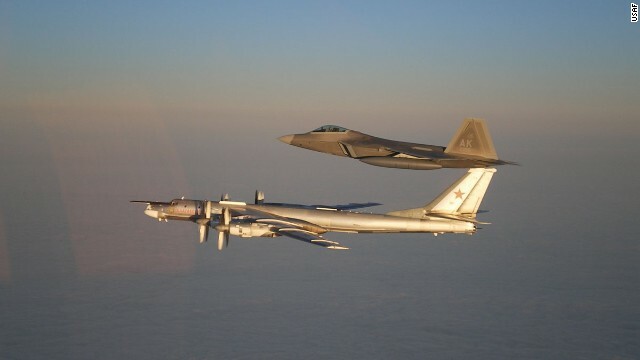 Russia plans to send long-range bombers to patrol the Gulf of Mexico and the Caribbean, the nation’s defense minister said, amid escalating tensions with the West over Ukraine. The patrols would bring the flights close to the United States’ territorial waters. In September, the U.S. intercepted six Russian planes, including fighter jets, near airspace off Alaska, officials said. The plan to send the long-range bombers is in response to a growing international resentment against Russia, defense minister Sergey Shoigu said Wednesday. In addition, he said, Russia will boost its security in Crimea, the region it annexed from Ukraine earlier this year. “In many respects, this is connected with the situation in Ukraine, with fomentation of anti-Russian moods on the part of NATO and reinforcement of foreign military presence next to our border,” Shoigu said. How’s that for inverse logic? The world is upset with Russia because of it’s behavior in Crimea, therefore it is justified sending more forces to Crimea to combat this. Riiiight. Even more of the same. The world is pissed at them for acting like belligerent thugs, therefore they are justified in acting like belligerent thugs ALL OVER THE WORLD ... in self defense. Riiiight. Nuclear capable Bombers from the Soviet re-Union over the Cayman Islands, over Cuba? Off the coast of New Orleans, hovering over the oil tankers coming in and out? I guess this is Chairmain Obama being “more flexible after the election”, just as he promised his ex-Marxist red pals.